Smart Goals is a smart way to gauge the performance of your website with the help of metrics which traces the high quality visits that have high probability to convert. Is there any way businesses can identify premier quality visits to their online websites and at the same time optimise them? Yes, there is a ‘SMART’ way! Smart Goals, powered by Google Analytics, can help you to measure not only conversions but also optimise the Adwords campaign. If you are an advertiser or analytics user these Smart Goals are sure to give you an edge over the competitors. 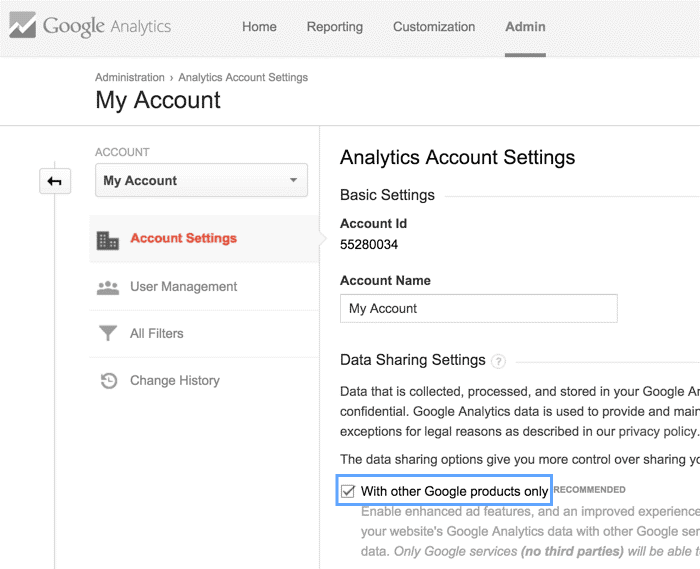 This new Google Analytics feature effortlessly nurtures your bids, ads, and websites. What are Smart Goals? Let’s take a closer look! By using machine learning, Smart Goals analyses loads of signals to determine which signals have high probability to get converted on your website. Each quality visit is allotted a score. The best visit is then translated into smart goals. A threshold is established to determine the ‘best’ visits by picking up about 5% of the traffic coming to the website through Adwords. Once the threshold is established, the Smart Goal feature is enabled on the website to trace website visits, and also ties it up to the other channels of traffic sources, other than Adwords. 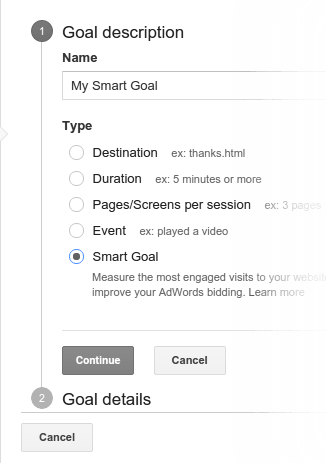 You can effortlessly import the Smart Goals into Adwords once they are enabled in Google Analytics. Once the above given requirements are fulfilled we can move ahead and enable the Data Sharing. Now that we have enabled the Data Sharing let’s see how we can enable the Smart Goals. Note: If you select an Industry category, the Goal description might appear different than what is shown in the image above. So, kindly ignore it and click on Smart Goals. Once the Smart Goals are imported let them amass data for a few weeks. The first step to start using Smart Goals is to calculate Cost Per Acquisition (CPA). Simply divide the expenditure of the ads by number of Smart Goals completed. So the average cost for acquiring a session having high probability to convert is $30. In this case, you should set your CPA target to be $30 in the AdWords. Note: To optimise AdWords, Google also recommends you to use a flexible automated bidding strategy, called as Target CPA bidding and if you wish to manage the bid by yourself use manual CPC bidding. How to see Smart Goals perform? To see how the Smart Goals are performing, you need to check the Smart Goals report. It helps you to distinguish between the Smart Goals Traffic and the other traffic. To generate the report go to Conversions> Goals> Smart Goals report. Well, all said and done, these smart goals are yet not completely rolled out for all the analytics users or advertisers. However, you can expect it to be gradually made available for all the users. Are you geared up for SEO upheavals in 2013? What is Social PPC and How to Maximise Its Use?